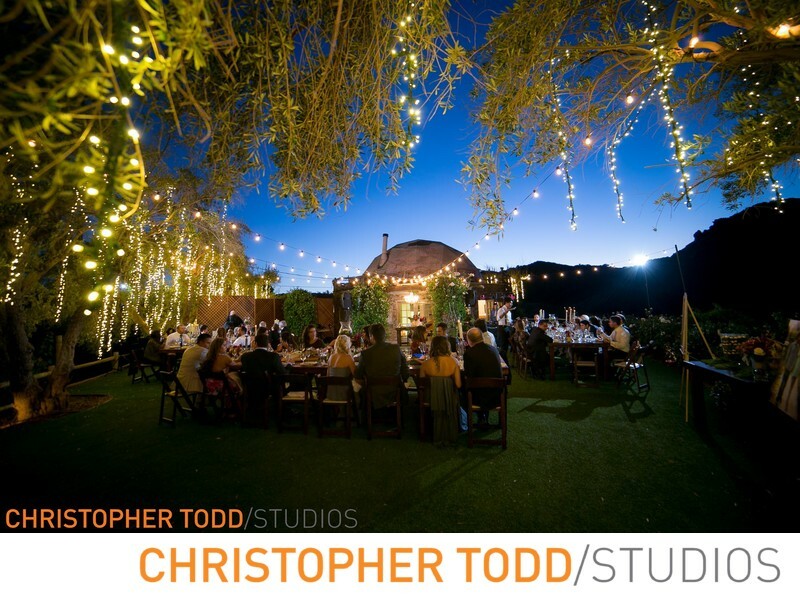 Saddlerock Ranch is a perfect wedding venue in Malibu. This al fresco reception was perfect under the stars. The outdoor lighting and trees made the mood just right for the guests.